If you've visited GBMC's campus lately, you've probably seen purple signs inviting you to “Celebrate Survivorship” or “Show Support. 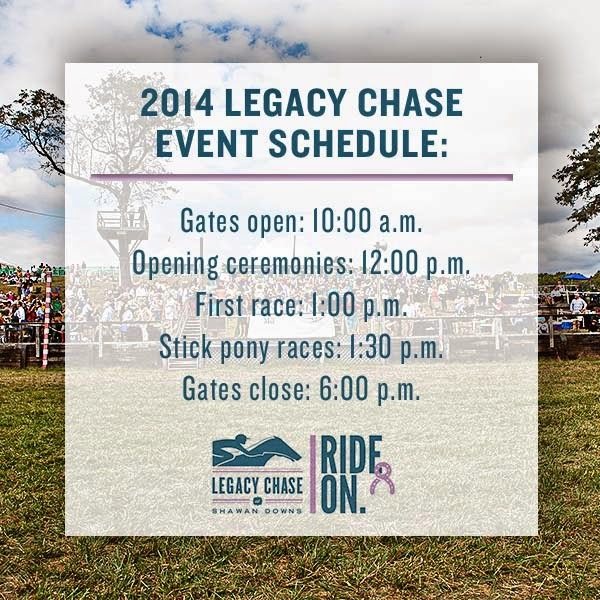 Ride On.” In case you weren’t sure what all the buzz is about, GBMC is preparing for its 14th annual Legacy Chase steeplechase event on Saturday, September 27, 2014! This time-honored tradition is a fun, family friendly way to spend a late September day in Baltimore—for a great cause! This year’s theme is celebrating cancer survivorship. All proceeds benefit Oncology Services at GBMC, where board-certified physicians and more than 150 oncology team members at the Sandra & Malcolm Berman Cancer Institute provide care for nearly 65,000 outpatient visits annually. The event is open to all, but cancer survivors and their families are invited to a special celebration with complimentary refreshments in the Cancer Survivors' Celebration Tent. New this year and available for sale in the tent are “Message of Hope” signs. The signs will be displayed at the event to support those currently in the fight against cancer or those who have already rung the bell to signify the end of their treatment. If you or a family member has been affected by cancer, please stop by the tent during the event to either celebrate your loved one’s survivorship or honor their legacy! 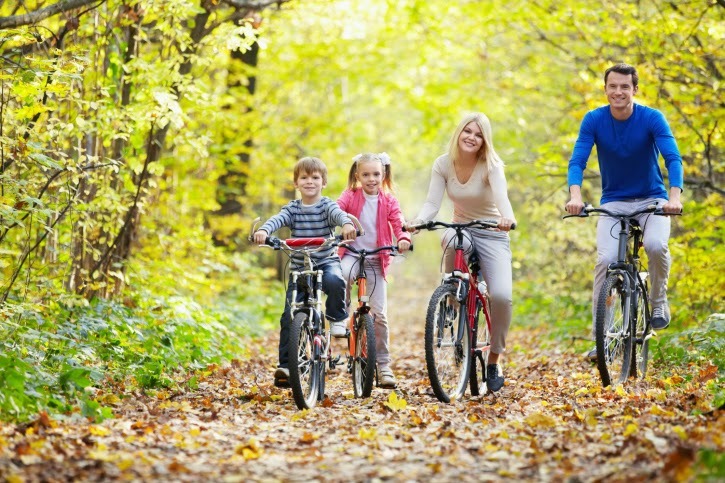 At Legacy Chase, the whole family is invited to join in the festivities. Wristbands, available for $10 in the Kids’ Korner tent, give children access to tons of fun activities, including pony rides, an obstacle course, photo booth, face painting and more! From 1:30-3:30 p.m., kids can visit with the Oriole bird and Poe, the Ravens mascot. Kids are invited to join in the fun of stick pony races, too. There will also be a giveaway, while supplies last, of a GBMC Kids Korner drawstring bag. Come hungry—this event is set to have plenty of food! Catering is available by Robert Levine Catering through the event website listed below for groups booking in advance. Additionally, four food trucks will be onsite from 11:00 a.m.-5:00 p.m., including Kooper’s Chowhound Burger Wagon, The Jolly Pig, Kona Ice and Iced Gems cupcakes. Attendees are welcome to pack picnics and bring their own food to the event, too. 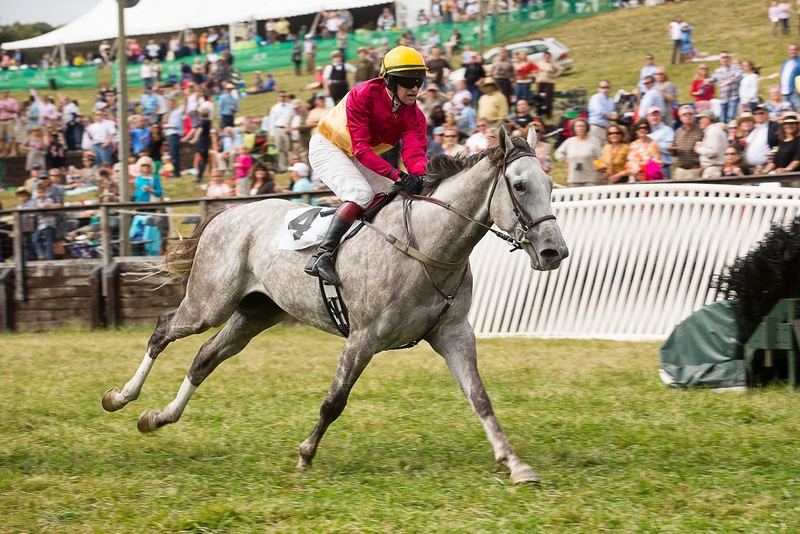 The main event, steeplechase horse racing, kicks off at 1:00 p.m. Event attendees are invited to come as early as 10:00 a.m. to join in on the fun! Gates will close at 6:00 p.m. Tickets for Founder's Hill, Farmer's Field and Rally at the Rails can be purchased at the gates on the day of the event, Saturday, September 27. Visit www.gbmc.org/legacychase for additional information. We can’t wait to see you at the races! Walk through a corn maze. One fun and popular fall activity for children is having a corn maze adventure. Find a local maze, and get moving! Make the activity age appropriate. Planning activities based on your child’s age group will keep him or her from getting bored if the activity is too easy or frustrated if it’s too difficult. If the child is still in preschool, maybe consider tossing around a soft football in the backyard instead of going on a more challenging hike. Encourage kids to get their friends involved. Set up a baseball or soccer game for the kids in the community. Not only will it help improve children’s wellness, but it helps develop their social skills and build self esteem. With such a strong focus on caring for others and also managing the hustle and bustle of everyday life, it can be easy for a woman to lose sight of a very important person – herself! Knowing this, GBMC created a program to give women time to take a break and focus on their own wellbeing. This was the inspiration for Time for Me!, a free women’s health lecture series held each spring and fall. During the month-long series, one lecture is given per week. Each week’s topic is different and presented by GBMC’s own physicians to offer practical information and advice on the prevention, treatment and management of the most common health issues affecting women. Join us for one or more of the fall 2014 lectures! Look as Young as you Feel. Understanding cosmetic surgery options. You've seen the pink ribbon for breast cancer awareness month in October, but have you noticed the teal ribbon being displayed just one month before? The teal ribbon stands for ovarian cancer awareness, and it represents one of the most deadly forms of cancer affecting women. 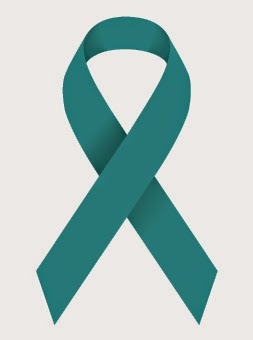 In honor of September’s designation as National Ovarian Cancer Awareness Month, GBMC is doing its part to help make “the teal ribbon” as well known as the pink one. Ovarian cancer is one of the most fatal forms of cancers affecting women. According to the Centers for Disease Control (CDC), more than 20,000 women are diagnosed with ovarian cancer every year. Additionally, it estimates that more than 14,000 women will die in the United States from ovarian cancer this year. The exact cause is not known, but ovarian cancer tends to affect older women, especially those over 55. 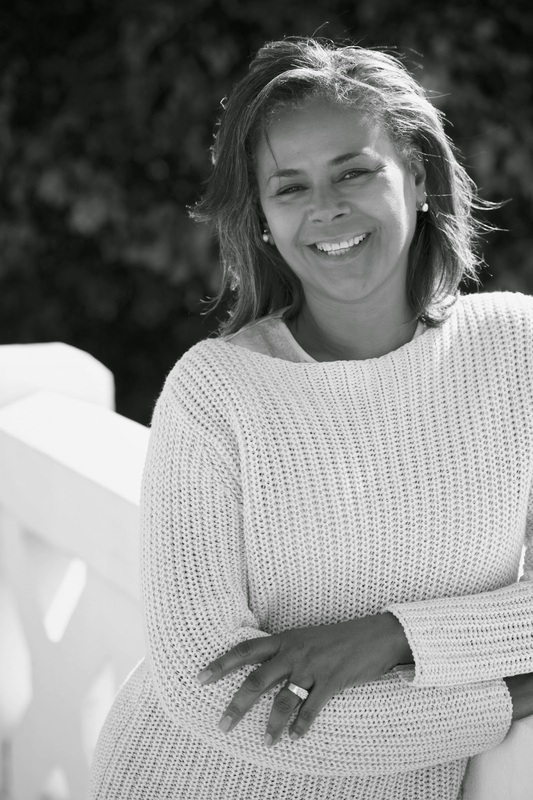 Statistics show that 90 percent of women with ovarian cancer are older than 40 years old, with the majority of those diagnosed being older than 60 years old. Like many other forms of cancer, genetics plays a role in one’s likelihood of developing ovarian cancer. Women with mutations in the BRCA1 or BRCA2 genes are more likely to develop ovarian cancer than others. A personal or family history of cancer also increases likelihood of developing cancer. Symptoms of ovarian cancer are painful and unpleasant. Talk with your doctor if you start to exhibit any of the following symptoms: abnormal vaginal bleeding, unusual pain in the pelvic or lower abdominal area, unusual changes in your bathroom habits, such as diarrhea or frequent, sudden urges to urinate. The CDC states that if something feels unusual or abnormal in your abdomen, pelvis or vaginal area to share your concerns with your physician. Ovarian cancer can be treated with surgery to remove cancerous tissue. If needed, traditional cancer treatment methods such as chemotherapy and radiation can also be effective. Patients may want to visit a gynecologic oncologist who has been trained in the treatment of women’s reproductive cancers. Talk to your doctor about the best course of treatment for you. Unfortunately, there is currently no specific screening available for ovarian cancer. Although women’s annual gynecological screenings do not detect ovarian cancer, it’s still important to have annual Pap tests with your OB-GYN and discuss any symptoms with your doctor. Staying vigilant about your reproductive health, regularly seeing your physician and monitoring any symptoms are the best steps you can take in protecting yourself against ovarian cancer. For more information about the women’s oncology services provided by GBMC, visit www.gbmc.org/WomensOncologyCenter. Preheat oven to 350°. In a small bowl, combine egg, water and a little salt. Beat with a fork to make an egg wash. Set aside. Fill a second bowl with breadcrumbs. Slice chicken breast halves into thin cutlets. Pound them to make them thinner if you wish. This helps when you wrap the cutlets. Cut each slice of cheese in half. 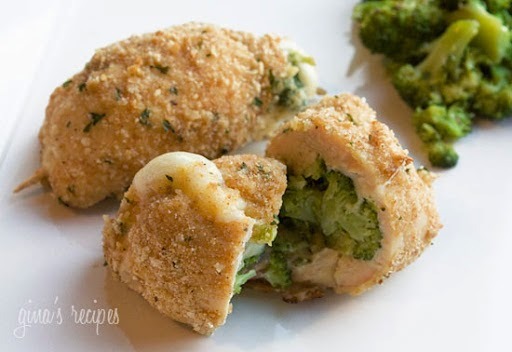 Place a 1/2 slice cheese in the center of the chicken and top with a little broccoli. Wrap chicken around to completely cover cheese, using toothpicks to secure. Season with a little salt, if desired. Dip chicken into egg wash, then breadcrumbs. Spray cookie sheet with oil and place chicken on cookie sheet. Lightly spray chicken with oil and bake about 25 minutes, until cooked.